Is it too late for BlackBerry’s return to the touchscreen mobile market? With Mobile World Congress in Barcelona almost at an end, last night Blackberry chief executive John Chen surprisingly announced BlackBerry’s re-entry into the touchscreen mobile market with the ‘Leap’, joining the recent classic keyboard models, with another three variants to come in 2015. With an estimated 1,000 smartphones being shipped globally every minute compared to nothing less than a decade ago, can Blackberry reignite enthusiasm – not only amongst new customers, but those die hard brand advocates? 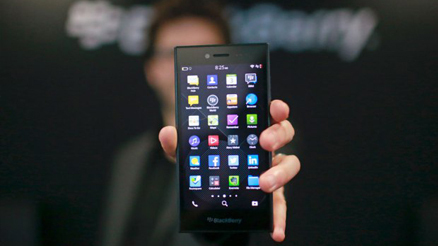 Blackberry shipped 7.9 million phones last year according to a Gartner study, six times less than in 2011 (51.1m). The brand certainly still deserves some credence, after all it continues to dominate in the B2B sector and has suffered fewer embarrassing privacy leaks than some rivals. This time, Blackberry will provide access to its services on iOS, Android and Windows phones for a fee as ‘experience suites’, which all sounds very complicated. With hungry competitors like Microsoft, LG and Motorola bringing similar mid-range devices with more innovations and greater advertising spend to the market, can Blackberry continue to trade on good will and is its market now too business centric to be relevant to make the ‘Leap’? I hope it’s not too late for Blackberry – it paved the way for the globe’s current top two players who most certainly copied what Blackberry created, and did it well with lesser products but great advertising and brand advocacy. To survive in my view, Blackberry must once again focus hard on its brand, values, heritage and innovation in a manner which appeals to both more established and emerging demographics. It needs to stay in the game and keep the competition fresh to offer more choice to both business and consumers. I guarantee that every mobile carrier wants to see Blackberry survive to ensure certain brands have less control over their business models and a broad spread of brands to partner with now, tomorrow and long-term.